Pennsylvania communities like Harrisburg, Mount Carmel, Williamsport, and many others have been getting hard wood floors installed in their homes for longer than Classic Touch Wood Floors has been around. It makes sense why, too. The benefits of having a hardwood floor are obvious to many, although having a combination of hardwood flooring with carpet can be an ideal option. Of course that depends on the chosen aesthetic of your home, but we would suggest that there are very few kinds homes which cannot be improved, in a variety of ways, by getting a new hardwood floor. Before we dive into today’s post, we would like to take a moment to highlight the spectrum of hardwood flooring services we offer here at Classic Touch Wood Floors. Hardwood Installation – We can install bare hardwood or pre-finished, engineered, and half-inch to three-quarter inch hardwood flooring. We will remove all carpet or current flooring, to make it easy on you. Check out our showroom to get a better idea of what we have to offer specifically. Refinishing and Dustless Sanding – This is a great option if you are looking to unearth a lost beauty from even a century ago. Your hard floors or stairs will look incredible, for an affordable rate. 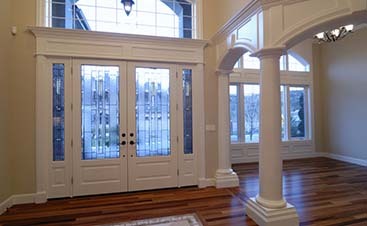 Staining – Select a custom stain or choose from our pre-selections. Our stains are fast drying and are designed to extend the life of your hardwood flooring. Hardwood Restoration and Repair – We have been doing this a long time, and we are the type of hardwood flooring company that will tell you if a restoration project is your best choice. Our buff and recoat process will lightly sand your surface, and then bring out the shine that has faded over the years! Today’s post is going to be focused on explaining to any non-believers out there who still are hardwood flooring sceptics, if you’ll allow such an expression. The benefits are numerous, so read on if you are interested in adding style to your home with the classic and timeless touch of hardwood flooring. Whether you are in love with the look and feel of wooden floors or not, it won’t change the fact that 54 percent of home buyers were reported to be willing to pay more for a home with hardwood floors, according to data from the National Association of Realtors. That’s a fact that shouldn’t be lost on people easily. But you might be saying to yourself that you don’t plan on moving from your home so it is a moot point. While we wouldn’t advocate someone getting a hardwood floor that they hate for sell-on value alone, you never know how life is going to change, and when you may need more financial resources, even if you don’t end up selling the house. Regardless, very few people hate the look of hardwood floors in the first place, so perhaps our point is moot. 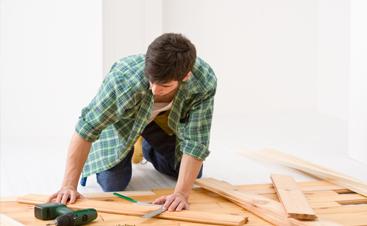 The point to remember is that installing hardwood floors can make you money in the long-run. Wood floors are a cinch to clean, all you really need is a broom and mop for a weekly cleaning. Of course, you will want to intermittently use finish on your floor, depending on the type of floor you have. 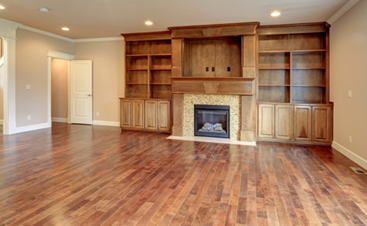 Consult with your hardwood flooring contractor about what the best kind of finish is to use. Germs are easily housed in carpets, along with hair, dust, and other nastiness. Now, we aren’t claiming that a hardwood floor has never had a piece of hair or lint on it, but just that you typically don’t see it collect and embed in quite the same way. That makes hardwood flooring an ideal choice for people who have serious allergies. This is significant because some researchers suggest that an increase in dust mites (trapped in carpet) are a contributing factor to the increase in asthma. Oh, and you can get wine out of hardwood floors. Most carpets? Forget about it. Have you ever noticed that your feet and joints don’t hurt quite as often when you are standing on a hardwood floor. When you compare the experience to standing on concrete or tile, the difference is marked. 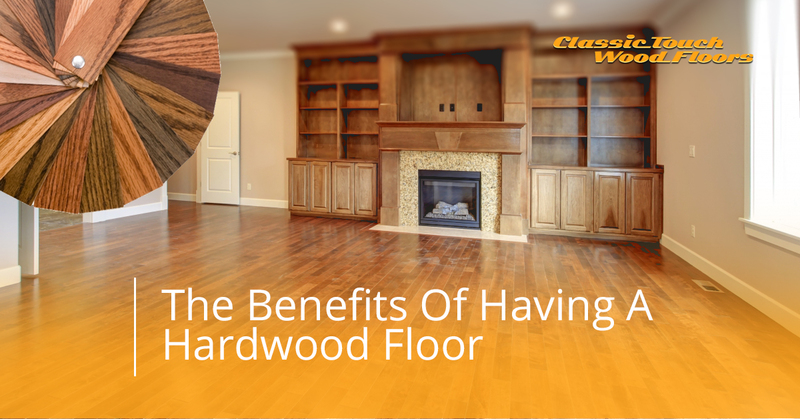 Hardwood floors are wonderful for many reasons, but one that most people overlook is the natural give found in most wood. For this reason, wood flooring is one of the most comfortable flooring options you can find. Aside from the reasons listed above, the most obvious justification for getting new hardwood floors is the fact that they are visually stunning. We all likely have an image in our minds when we talk about hardwood flooring; there is a certain cachet that comes with the glowing richness and smooth texture of hardwood floor. If you are ready to learn more about hardwood flooring options, pricing, and what Classic Touch Hardwood Floors could do for you, please get in touch with us today. If you are interested in our Central Pennsylvania service range, you can see a visual representation here. Serving communities that include Hershey, Danville, Bloomsburg, and Sunbury, we would love to help provide the finishing touch on your home to bring out the class and style of any room. Give us a call today to get started with your free estimate!